(RNN) – Researchers gave octopuses ecstasy, and apparently they had a good time. The euphoric effects of the drug, also known by its pharmaceutical name MDMA or street name molly, were observed in the normally antisocial cephalopods. The New York Times reported they even started giving each other hugs. According to a summary of their study, it found ecstasy "enhances acute prosocial behaviors" in octopuses, just as it does in humans. 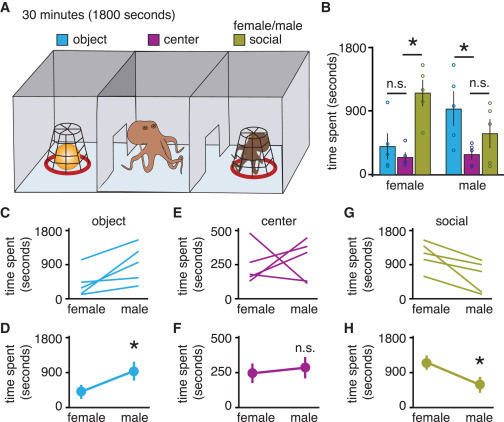 This implied there are possibly links that remain in the neural systems of both octopuses and humans, despite 500 million years of evolutionary separation. "Growing evidence suggests that ancient neurotransmitter systems are shared across vertebrate and invertebrate species and in many cases enable overlapping functions," the summary states. The research was conducted by Gul Dolen of the Johns Hopkins University School of Medicine and Eric Edsinger with the Marine Biological Laboratory in Woods Hole, MA. "Even though octopuses look like they come from outer space, they're actually not that different from us," Gulen, a neuroscientist, told The Times. The study noted that octopuses "are thought to be the most behaviorally advanced invertebrates" which made them prime candidates for the experiment. To conduct it, the researchers put the octopus in a central chamber with two other chambers next to it, one containing an object and one containing another octopus. Typically, the octopuses were more interested in the object than the fellow member of their species. But after taking a bath in MDMA, they became more interested in the other octopus. The study is being published in the September issue of Current Biology, a scientific journal. "The current studies provide the first functional evidence that the prosocial effects of MDMA are evolutionarily conserved" in octopuses, the researchers concluded.